The Hotel Caribe in Cartagena sits at the western end of a peninsula, a first-class hotel in a first-class city. But there are things that even the finest hotels do not offer, and one of those is a box of Cardboardeaux. At home I prefer the whimsicality of Black Box or Bota. So the other night I decided my first foot expedition would be to celebrate my brush with airline death with una caja de vino, as the locals say. They may say it, but they don’t sell it. But I outpace myself. From the Caribe’s end-of-the-line setting you exit only northeastish. There are six roads heading that way, known unimaginatively as Streets 1 through 6. If you are not on one of those, you are in the Caribbean sea. Number 1 parallels the north shore beach. Street 2 is Touristville. Street 3 is Localville. Streets 4-6 go but a few blocks before terminating in boredom. I picked #3 because I labor under the delusion that one day I may learn how to speak Spanish better than a four year-old Hispanic girl. I’ve been under that spell for more than 25 years now, but I never tire of the effort which, I admit, is generally minimal. What makes this enormous joke even more remarkable is that I am an inordinately shy person. For me meeting strangers almost always borders on pain. On top of that there is an undeniable truth about learning a new language: You’re going to get your hands dirty. You’ll have to embarrass yourself, to look stupid, to fail more than succeed. Occasionally communication occurs. But you really can do this, though it never seems quite so at the time. My college roommate went through the process in Russia, where they make sounds that are harder to understand than Double Dutch. That’s why I didn’t take Street 2. All the hustlers speak a kind of Spanglish there. You don’t quite understand what it is they’re saying, but they’re not saying anything you want to hear anyway. No, as your attorney, I advise you to go down Street 3. No one speaks English in that neighborhood. 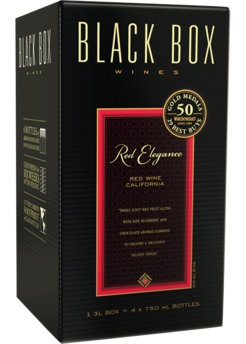 And whatever it is you’re looking for – in my case a box of wine – you’re going to have to work for it. You will learn things there that you cannot possibly forget. Today’s word is corkscrew, sacacorchos, meaning literally to “pull or remove cork.” In its structure, logic, and regularity Spanish was designed for people who have trouble learning anything. How can you not admire something that forgiving? I ended the night at a sidewalk restaurant, having found neither a box of wine nor un sacacorcho. The place advertised pasta bolognesa, Admittedly, this is a dish on no one’s idea of a lo-carb menu, but that along with a bottle of Jaegermeister and a bag of peanuts – the three basic food groups for weary travelers – can get you through the battle of Stalingrad.